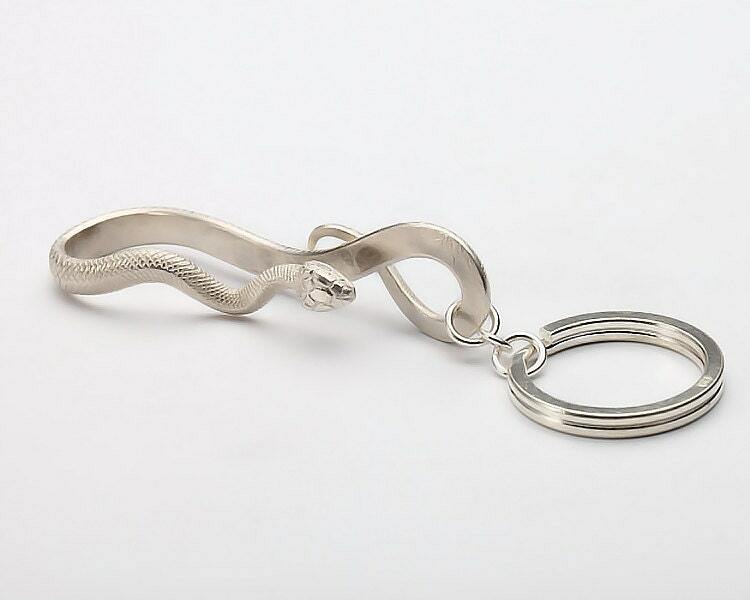 The snake keychain features a deadly viper snake crafted in sterling silver. 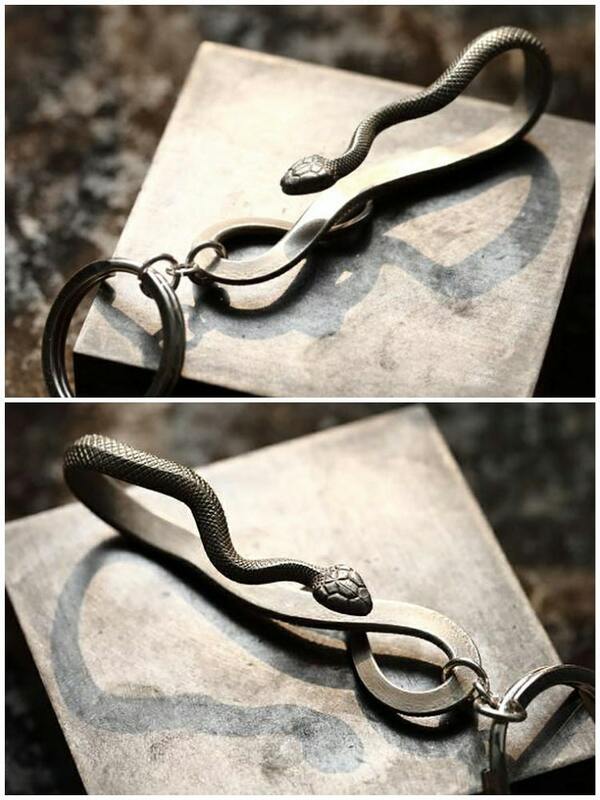 The carved scales of the snake are so realistic - you can actually feel then scraping against your fingers! Mysterious, dangerous, deadly - but still, beautiful and fascinating! The snake represents a powerful force in the Native American culture. A major spirit animal, something to be respected and revered. 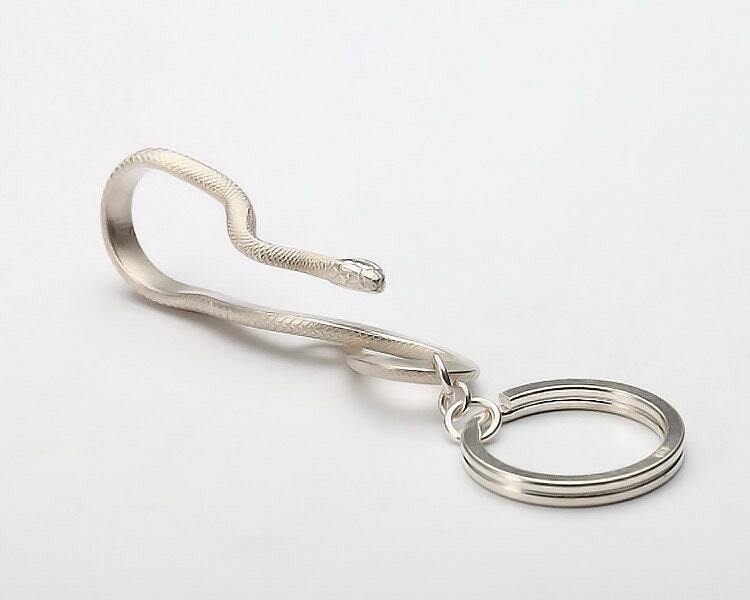 The silver viper twists and slithers into a compact key hook that you can wear over your belt. 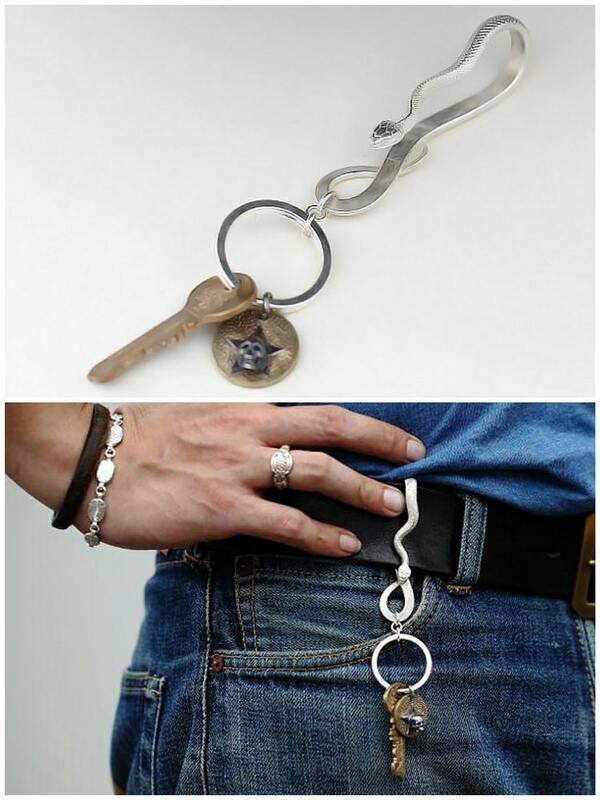 Note: The Mexican skull charm and the key on model's key chain are NOT included. 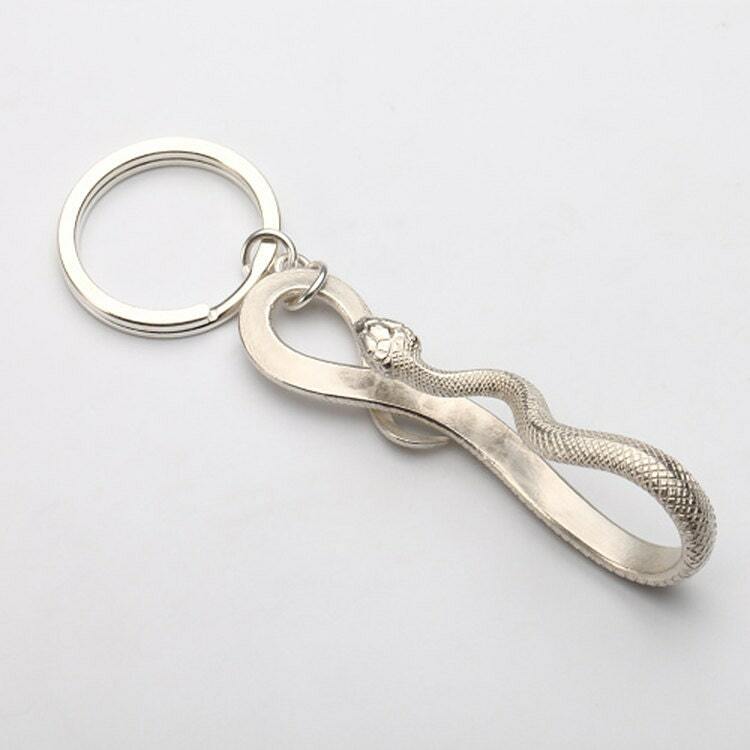 Length of snake: 74mm/2.9 inch.